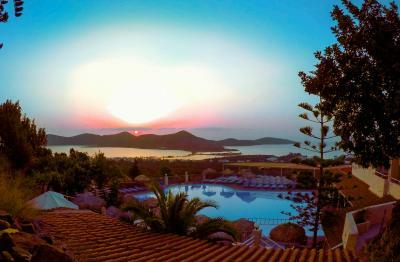 Lock in a great price for Elounda Water Park Residence Hotel – rated 8 by recent guests! it was definitely good for the kids :) for us grown ups that is off course important. In high season I think we would hate it here, but if you like that kind of thing there is nothing wrong with the place, but we normally like less touristy places. Many of the staff was really friendly and welcoming. All staff - from cleaners to cooks, waiting and bar staff, receptionist, shop owner, shuttle bus drivers and maintenance men. Very conscientious, warm and friendly. Responded immediately to any queries and requests. Food was excellent quality. Lovely view and air con made my stay more pleasurable. Free shuttle bus to and from the town every couple of hours was very useful and saved on taxi fares. The staff were friendly and very approachable. The facilities were good. The bed was comfortable and the apartment was up to date. Pool good. Food was good, good variety to choose from. Be aware there are steep hills to climb but i knew this before and it did not put me off. Location is perfect, if you are with car. If not, it is a fare from the sea. 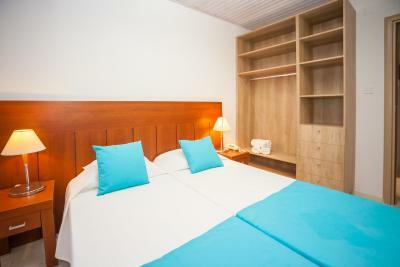 However hotel helps with providing the transfer services to the center of the city. η τοποθεσια, το πρωινο, καθωσ και η ευγενια και η εξυπητετηση του προσωπικου που φροντιζε για το πρωινο ειναι τα μονα θετικα στην επισκεψη μου στο συγκεκριμενο ξενοδοχειο. 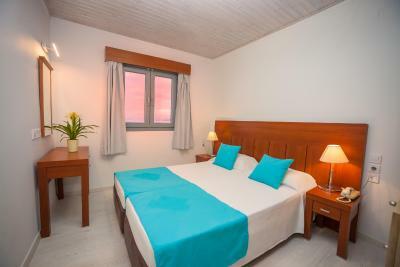 Elounda Water Park Residence Hotel This rating is a reflection of how the property compares to the industry standard when it comes to price, facilities and services available. It's based on a self-evaluation by the property. Use this rating to help choose your stay! One of our best sellers in Elounda! 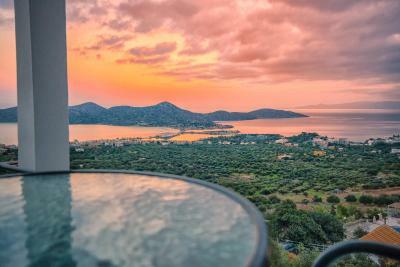 Overlooking the surrounding mountains and sea, Elounda Water Park Residence Hotel offers half-board accommodations, 0.7 mi from Elounda center. It features a spa and wellness center, fitness center, large pool and children pool, a restaurant and a tavern with live music. 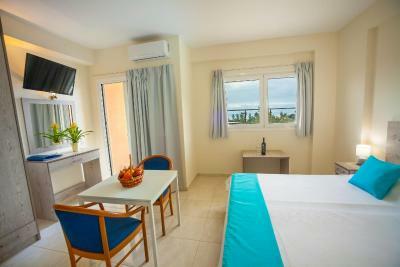 The complex consists of spacious apartments with seating room, and fully furnished villas with private pool. 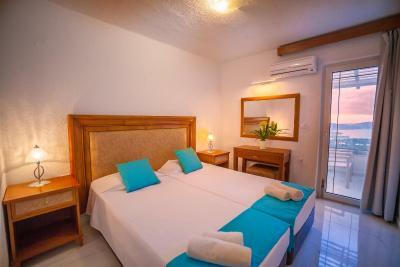 All rooms are air-conditioned and have a balcony with sea view. 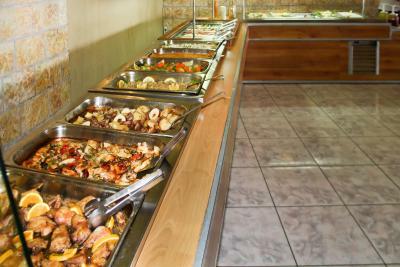 The restaurant serves a daily breakfast and dinner buffet. Taverna serves a variety of Greek dishes for lunch and dinner. Drinks are available at the main bar and pool bar. Children’s menus are available. Water Park Residence Hotel features a computer room and a games room. 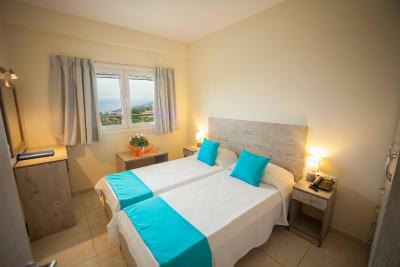 Sports and leisure facilities include a tennis court, mini golf, table tennis and table football. There is also a separate pool for children, and 3 playgrounds. Free WiFi is available in all areas. The hotel offers free shuttle service to the main road. You can walk to the village where you will find wonderful beaches, local stores and frequent boats' departures to the famous Spinalonga island. Free private on-site parking is available. 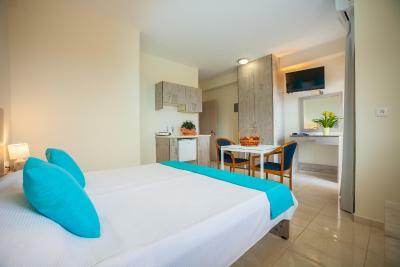 When would you like to stay at Elounda Water Park Residence Hotel? 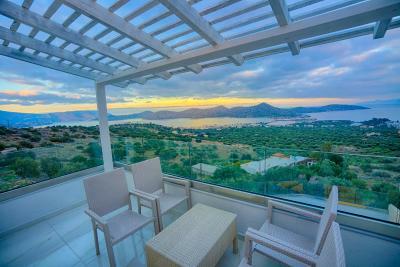 Spacious apartment with 2 separate bedrooms and a seating-dining area, kitchen facilities and terrace offering view to Elounda Gulf and Spinalonga Island. Offers free Wi-Fi. 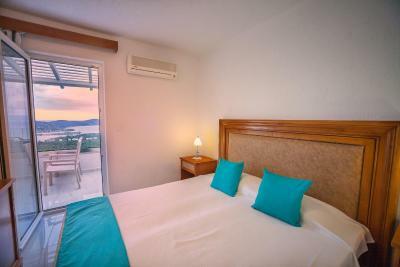 Spacious apartment with 1 bedroom and a seating-dining area, kitchen facilities and terrace offering view to Elounda Gulf and Spinalonga Island. Offers free WiFi. 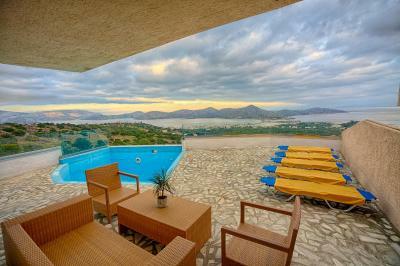 private sea-water pool and views to the Gulf of Mirabello and Spinalonga Island. 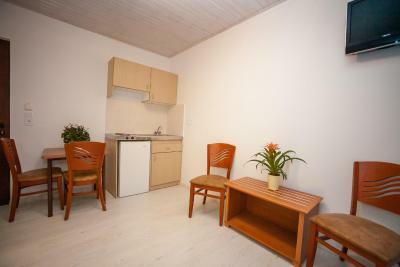 Comfortable air-conditioned apartments with a separate bedroom and a seating-dining area with kitchen. 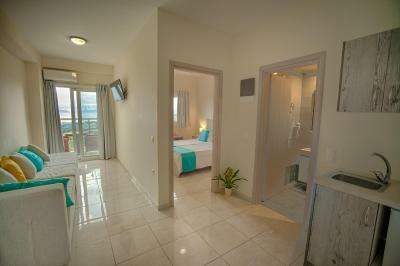 Other facilities include a toaster and a kettle, TV, customary furnishing and balcony or terrace with sea views. Free WiFi is provided. 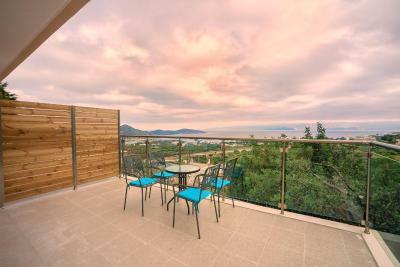 This apartment features a balcony, electric kettle and flat-screen TV. 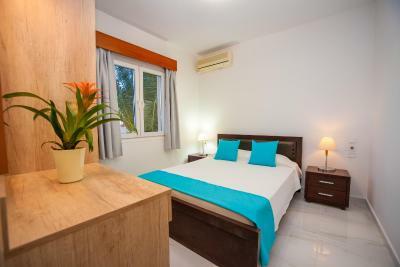 This twin/double room features a balcony, electric kettle and dining area. 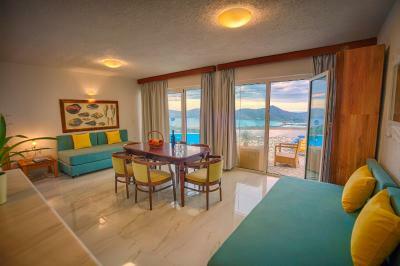 House Rules Elounda Water Park Residence Hotel takes special requests – add in the next step! 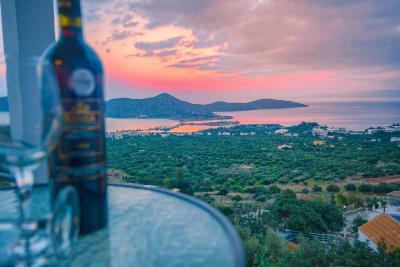 Elounda Water Park Residence Hotel accepts these cards and reserves the right to temporarily hold an amount prior to arrival. Please inform Elounda Water Park Residence Hotel of your expected arrival time in advance. You can use the Special Requests box when booking, or contact the property directly using the contact details in your confirmation. Apartment was dirty like hell: SCABIES in the apartment - we had hard time there and after coming home SCORPIONS (3-4 cm long) in the bedroom and in the bathroom Ants and other 5-6 cm long worms on the wall, whose corpse was even in the drawer - they didn't bother to remove them before our arrival Daily cleaning included mostly making the beds and sweeping a little, but without water that didn't do much help Stupid rules for using the outdoor football court (in case other equipment from the fun park could be used, they charged 3 EUR per child.) Just saying, in case it bothers you: the residence is quite big, it took us 7-8 minutes to reach the fun park from our house, the restaurant was in the middle. The path is rather steep. The room was royally dated. Friendly staff, great service, great views. the receptionist was really arrogant about the not working internet in our apartment. A real attidude that we thankfully didnt see in any other staff. 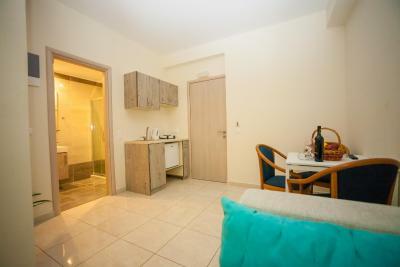 there was also some poor solutions to the decorating part of the apartments, but for the price and for what the place is I guess that is understandable. As it was end of season (mid Oct) the pool water was a bit too cold for me but I suspected that would be the case and did not let it spoil my stay. The food in the restaurant is very average, luckily the village is near by and there are plenty of nice restaurants to eat. The bathroom was not appealing. Bit mouldy. After arriving at the apartment, we discovered that the stove did not work, there was no pan, the hair dryer did not work and the main door was broken because it only closed with the key. As it was windy all night, we could not sleep with the door slamming. The beds had horrible mattresses. We all had back pain. In the morning I went to the front desk and the clerk gave us a hair dryer (which turned off after warming up) and instead of a pot we were given a fryer. We were 4 guests and we had 4 jars of shampoo in the bathroom only on the first day that served for the hair and shower. No other shampoo was placed. We had to go to the supermarket to buy toiletries. 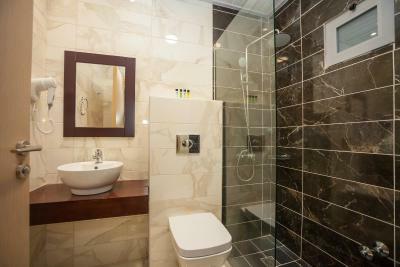 The floor of the apartment was never cleaned on a 4-day stay and only replaced the towels (one shower and one for the face). On the last day they only left 3 towels for 4 people. The pool floor was filthy; it had not been laundered for several days with glass cups, plastic cups with scraps of drink and even baby diapers left by guests mostly from Eastern European countries. During the day there was not a single employee removing such waste. A real filth. I do not understand how one assigns a 4 star rating to a venture like this, only if it is because it is large and having a few slips to the water they call aqua-park. I would not recommend this hotel to anyone. Check-in not ready at the indicated time, very noisy people around the swimming pool and not resting, food for mass tourism. We expected more from a four-star hotel. A kettle would be good as pans on rings take ages to boil. Also. bottled water was overpriced....3.50 bottle, so take your own into meals with you. Playroom was smelling alcohol and most of games were not working. At spa nice girl but not so professional. Music from last century all over played too loud.